New problems have arisen for the Hillary Clinton campaign following an exclusive interview with WMUR that aired on Sunday. 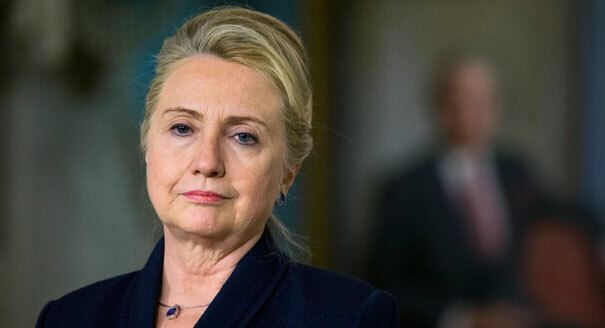 The controversy involves the sale of a Canadian company, Uranium One, to the Russian government during her time as secretary of state. The question posed to Clinton during the interview with News 9 Political Director Josh McElveen focused on big money paid in the form of a $500,000 speaking fee to her husband, former President Bill Clinton, by a Kremlin bank, one of the players involved in the Uranium One deal. “There’s no basis for any of that. The timing doesn’t work. It happened in terms of the work for the foundation before I was secretary of state,” Clinton said in the interview. “There were nine government agencies that that had to sign off on that deal. I was not personally involved because that’s not something (the) secretary of state did. The question itself was born of allegations made by the conservative author of the best-selling but highly critical book, “Clinton Cash,” and on Tuesday, author Peter Shwiezer [sic] blasted Clinton’s answers on CloseUP in an op-ed that has gone national, insisting his timelines are correct, and that at the time of the sale of Uranium One, Clinton was negotiating directly with the Russian government over civilian nuclear technology in the so-called Russian reset. (It’s actually “Schweizer.”) So, either Clinton was inexcusably absent when it came time to make a leadership call on this issue, or she made her presence felt by allowing a quid pro quo to take place. I can’t see a third option. In any event, no one should be comfortable with having this kind of approach to leadership in 1600 Pennsylvania Avenue. When Hillary announced her second run for the White House, I felt my passion for politics reignite. I quickly applied for and was offered a position as a Hillary for America fellow to work on the campaign. I couldn’t have been more excited — until I was told I’d have to move to Nevada and work full time on my own dime. I couldn’t believe my ears. I did not apply as a routine volunteer but as a fellow. Its application process with an elaborate screening and interview process was now revealed to be an ugly lie. If Hillary hopes to inspire young people, to prove she understands our interests she should offer substance to earn our votes. I had hoped a trailblazer would be more willing to break the mold of indentured servitude that haunts my generation. Finding out that Hillary perpetuates the exploitation known as unpaid internships was like discovering that Santa wasn’t real. I guess I shouldn’t be surprised. Unpaid work is common in campaigns, and as secretary of State, Hillary worked for the Obama administration. At the same time the administration was cracking down on unpaid internships in the private sector, it continued not paying the 300 annual interns in the White House. Hillary Clinton arrived in a private jet on Tuesday to talk race relations at a church whose rooftops can see Ferguson, Missouri. And she left some in St. Louis’s urban black community feeling cold, coming to town for a campaign speech nearly a year after the riot-inducing shooting death of Michael Brown. I guess the private jet must not have been available earlier.